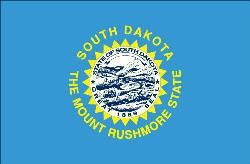 South Dakota's EB-5 Program was a model for other states. Now, amid recent federal investigations, the program has all but shut down. In an effort to attract a major factory to South Dakota, officials offered large sums of EB-5 investments for what became the state’s largest, and now most notorious, EB-5 project, the Northern Beef Packers (NBP) meatpacking plant. Northern Beef received over $100 million from Chinese and Korean immigrant investors. However, while other EB-5 projects prospered, the Northern Beef Packers project ended in failure. In July 2013, the $115 million meat-processing project filed for Chapter 11 bankruptcy. The project’s failure left many immigrant investors without a green card and with little or no return of their investment. By the time of Northern Beef's bankruptcy, a federal grand jury had been investigating allegations of fraud and corruption against South Dakota's economic development office as it pertained to the EB-5 program. Nevertheless, it remains unclear exactly where the money went. While this situation may call into question the credibility of the EB-5 program, it is important to note that this is an isolated event. The EB-5 program has proved advantageous for both immigrants and the U.S. economy during its two-decade existence. Furthermore, such highly publicized investigations into EB-5 projects can be beneficial to the long-term integrity of the program and can serve as a warning to others with ideas of abusing the process. The increased scrutiny from the SEC should also remind EB-5 project managers of their duty to adhere to the law. In the long run, the scandal in South Dakota will only help to make the EB-5 process a more transparent and legitimate one. Potential EB-5 investors are advised to carefully research investments and the companies offering them. The Law Offices of Vaughan de Kirby and Mr. de Kirby’s book, The Investor’s Path to a Green Card can help you choose an investment in a strong regional center and avoid the less-than-favorable ones. Your specific needs and priorities may vary, but the best advice for any would-be EB-5 investor is to ally with a seasoned financial advisor who can provide a detailed analysis on the risks related to your investments. At the Law Offices of Vaughan de Kirby, we know how important it is for you and your family to get the most up-to-date information on the EB-5 Program. If you need help evaluating EB-5 investments, our San Francisco immigration attorneys can refer you to a skilled financial advisor, and advise you on the requirements of an EB-5 visa. Call us today at 415-221-2345 for more information.